Les Bateaux du Pont is first and foremost a local family business. We have been doing everything we can to satisfy our customers for over 30 YEARS. 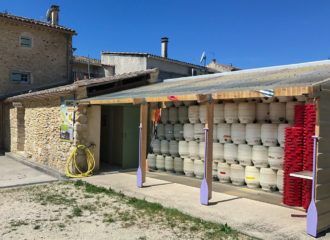 Located just a short distance from shops, campsites, hotels, restaurants and the Saint-Martin d’Ardèche Tourist Information Office. Exceptionally (and upon request), we can meet up with you at our base in Vallon Pont d’Arc. 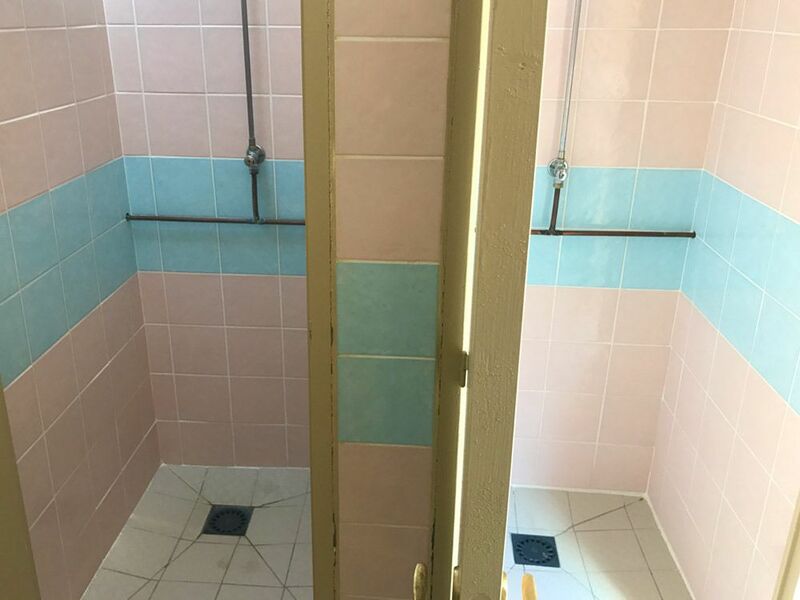 When you return, you will be greeted with a cold drink and a hot shower. 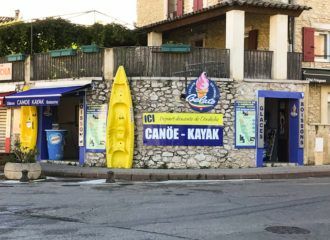 50 metres from our base in the village centre we have a shop where can get local ice creams, Italian ice creams and cold drinks. 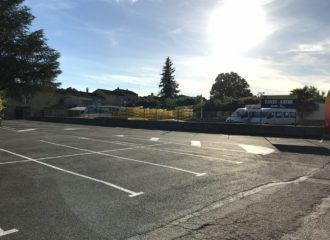 To keep your vehicle safe, we have a private car park accessible to all kinds of vehicles which is shut in the evening. We also have a garage for motor bikes and bicycles. 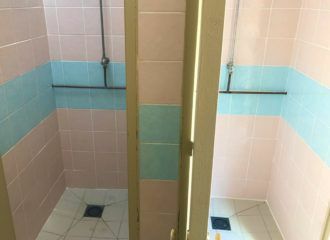 For your comfort, we provide 2 WCs, 2 showers (with hot water) and 2 wash-hand basins that are always kept clean. 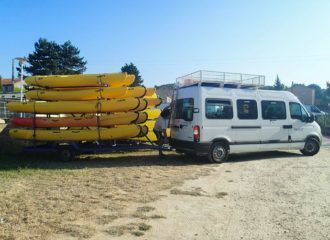 We have trips leaving every day throughout the season (if there is enough water). 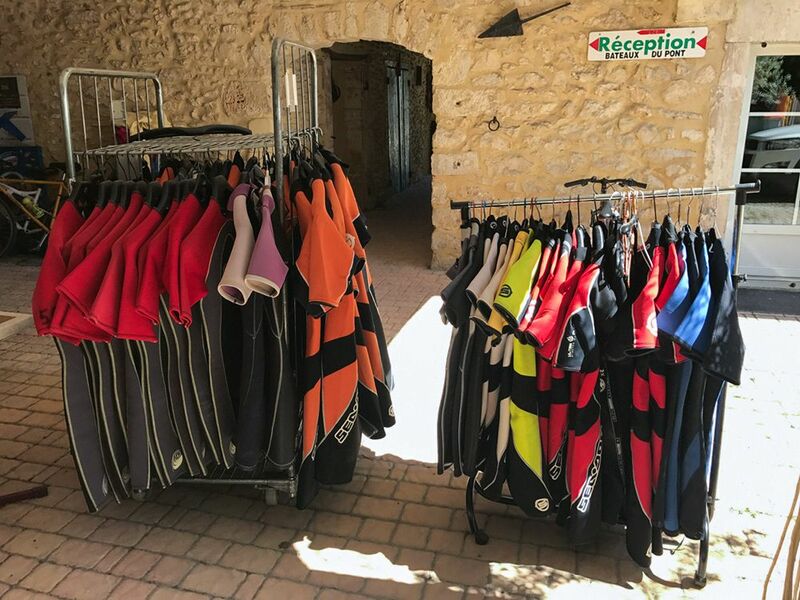 The team welcomes you at our base in Saint Martin d’ Ardèche and then drives you in our shuttle buses to our bases in Vallon Pont d’Arc and Châmes after distribution of the gear you will need. 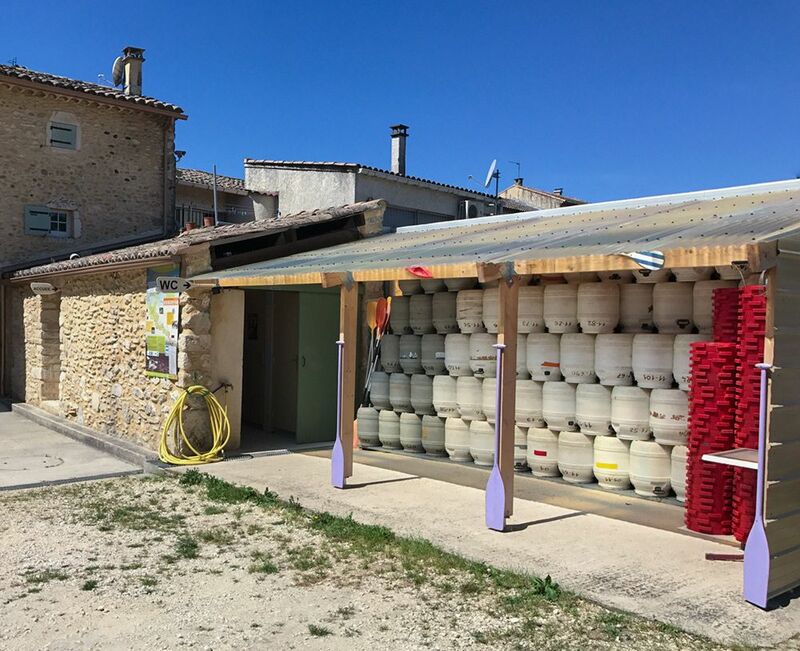 One big advantage is that we are located in the middle of the Rhône river valley near the A7 and A9 motor way exits. From there you travel in our shuttle buses. This cuts out the two-way trip in your own vehicle. Before you set out on your trip you will be given a full briefing. 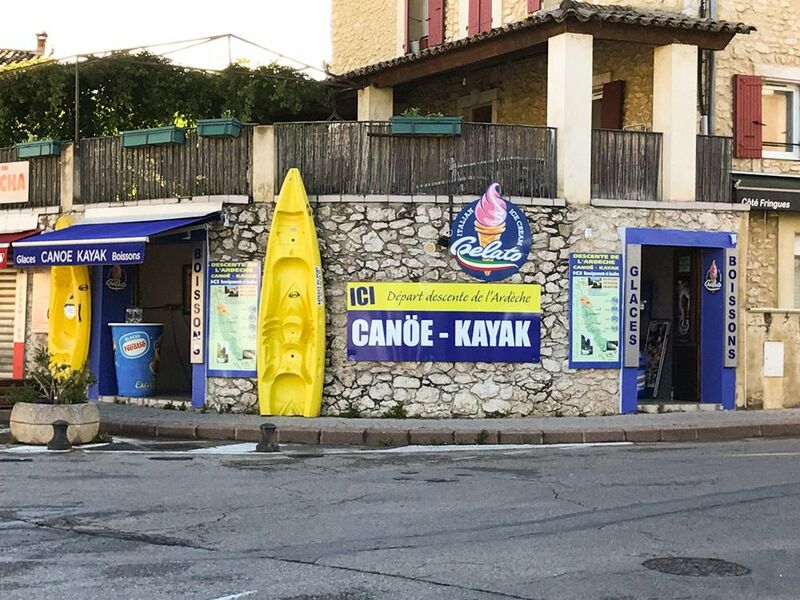 There is no set time for the return as you arrive directly at our base in your canoe. You can get here any time between 3.00 and 6.00pm so you can make the most of your day. On your arrival, a driver will be there to take you back to your vehicle in our private car park where a comforting cold drink and hot shower await you. 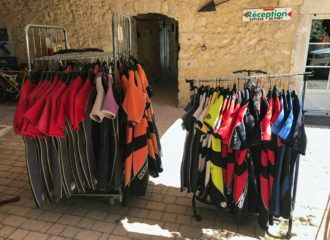 Short neoprene wet suits at the beginning of the season.